January 20, 2019 at 3:25 pm. This feature/column is reprinted from “National Champions,” the Lindy’s commemorative edition celebrating the 2018 Clemson season. The publication can be purchased through Lindy’s web site. on newsstands in the South Carolina area or by contacting Lindy’s publishing office at 205-871-1182. Things were disappointing for Clemson fans midway through the 2008 season. Tommy Bowden became head coach in 1999 and his teams were respectable. The Tigers were bowl eligible every year but never lost fewer than three games in a season. He had been Atlantic Coast Conference Coach of the Year twice, but never won the league title. Swinney realized that things needed to be changed … quickly. “We needed to build an infrastructure and build our brand,” Swinney told Lindy’s in 2015. “We needed to be All-In from the start. I told the team that the first day. So much has been done, not only with facilities, but also with every aspect of the program. Success on the field has been easiest to see. Football, always competitive and respected, has exploded, evolving seemingly overnight into an annual national powerhouse. Swinney’s first full season (2009) brought a 9-5 record, the ACC Atlantic Division title and a win in the Music City Bowl. The following year, the Tigers slumped to 6-7, Swinney’s only losing season. Since 2011, Clemson has never failed to win at least 10 games and has won or tied for six Atlantic Division crowns. The Tigers have lost just eight league games during that span and have won the ACC Championship Game four consecutive times. The overall record in those eight seasons is 97-15, including three College Football Championship Game appearances and two national titles in the past four seasons. But change has been everywhere since Swinney took over the program. Clemson, the small college town, has prospered economically with new businesses and greatly increased numbers of out-of-town game day visitors with a demand for upscale hotel accommodations. The university itself has seen an increase in interest from prospective students. Athletic and academic facilities have benefited from new construction. And fans of the football program have greater expectations, higher than ever before in Tiger football history. 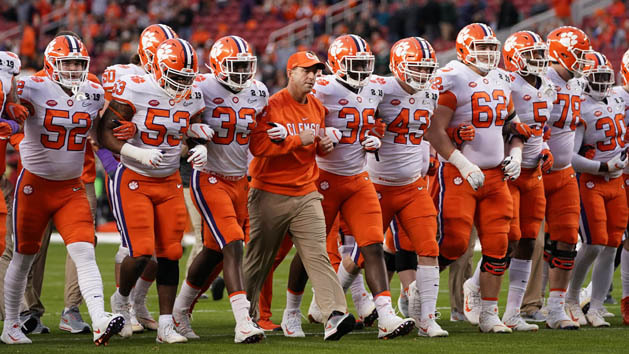 The Clemson football program’s success has been the major catalyst for these things and Swinney’s compensation package has changed to reflect that. His base salary is reportedly in the $6 million range, not including life insurance premiums and performance incentives. That doesn’t include the cars and the country club membership and tickets to other Clemson athletic events. Most members of the Clemson family would agree that the perks have been well-earned. Swinney’s success has also earned respect and the freedom to express opinions on most any topic … which he often does. His outgoing personality and dynamic approach to life has been a near-perfect fit with the Clemson fan base. He doesn’t mind speaking his mind about other things. He “got in the face” of All-American defensive lineman Christian Wilkins when he struck the Heisman pose in the end zone after scoring a touchdown against South Carolina. Swinney didn’t hide displeasure with Tiger fans who were critical after Clemson’s 56-35 win over South Carolina. And he had an answer for fans showing Clemson-Alabama fatigue as they faced each other in another College Football Playoff Championship Game. 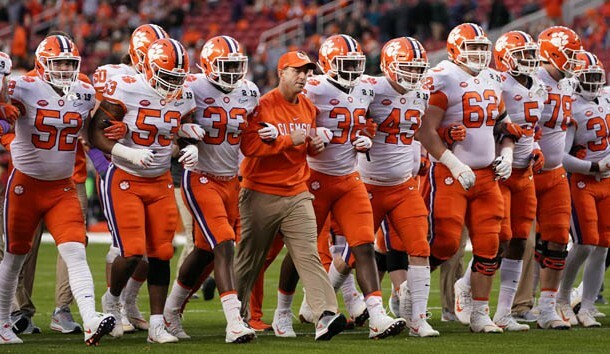 Telling you the way it is and consistently putting a championship caliber team on the field, that’s how Dabo Swinney does things with the Clemson program. There’s not much disappointment anymore and don’t expect that to change anytime soon.